The Job Card contains everything you need to manage your job, and then some. Here you'll find a summary of the job, its history, and a financial summary. The Job Summary tells you what the job is and who it's for. 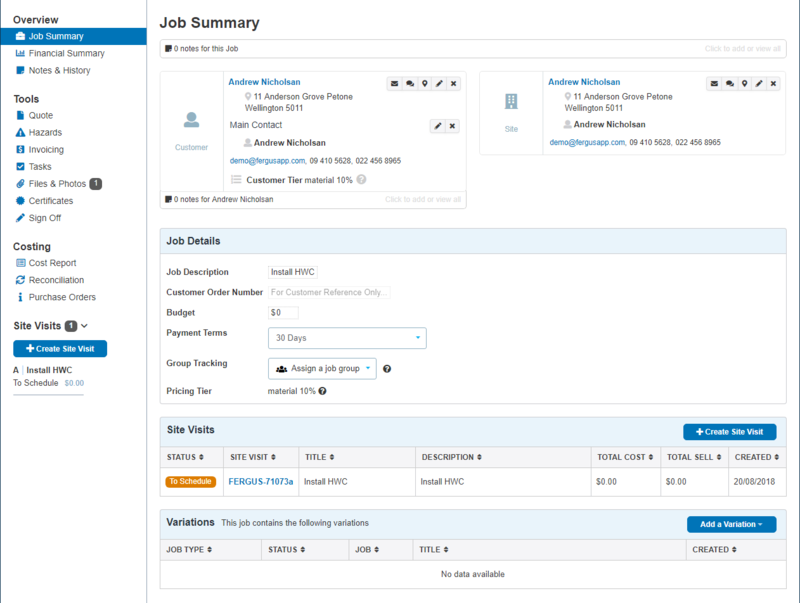 Under the Job Details you will find Site Visits and Variations related to the original job. Here you can see the performance of your job. The financial summary also highlights areas of concern that need your attention. Check Notes & History to see what's happened on the job, including when labour and materials were entered, and what emails have been sent. All the tools you need to successfully get your job done live here. 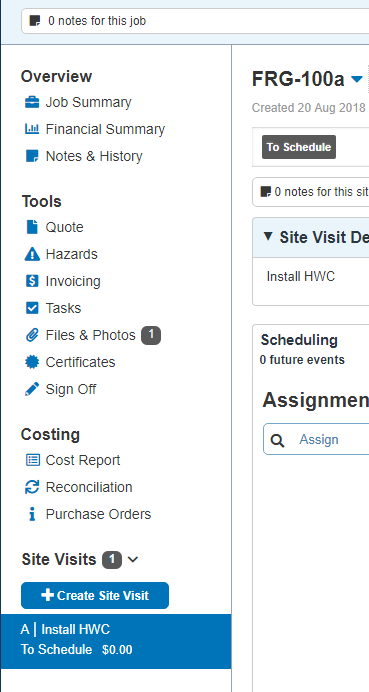 Create and manage your quote or estimate, and create quote versions. 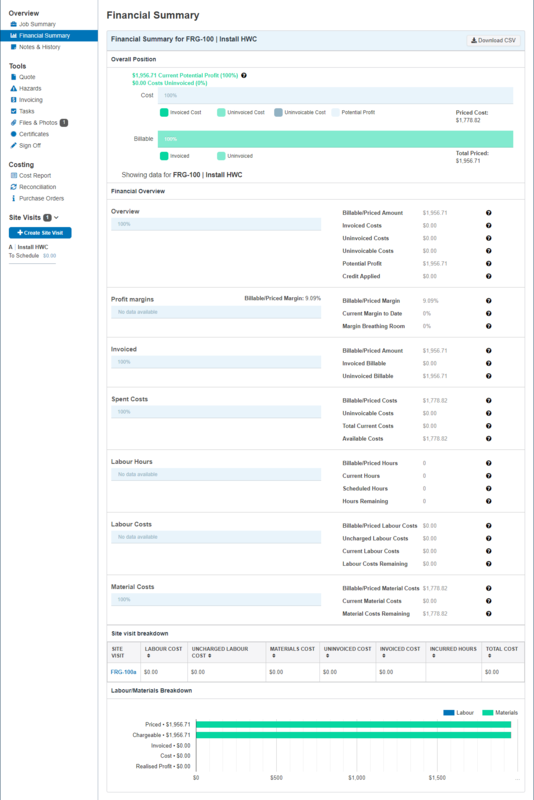 Log and mitigate health and safety hazards from the Hazards page. 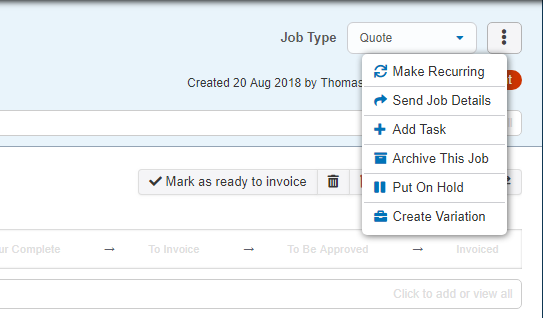 Create invoices (and if you don't use an accounting package, assign payments). Break down jobs in to tasks, assign them to the best person, and check them off once they're done. Store all important files related to the job in one place. Upload files or photos and view photos taken on the Fergus mobile app. Add and manage all certificates for a job under 'Certificates'. Here you can reconcile received supplier documents, view all costs entered against the job, and manage purchase orders. The cost report lists all materials and labour entered on the job and their status. You can also see the date the cost was entered or whether it's been invoiced. 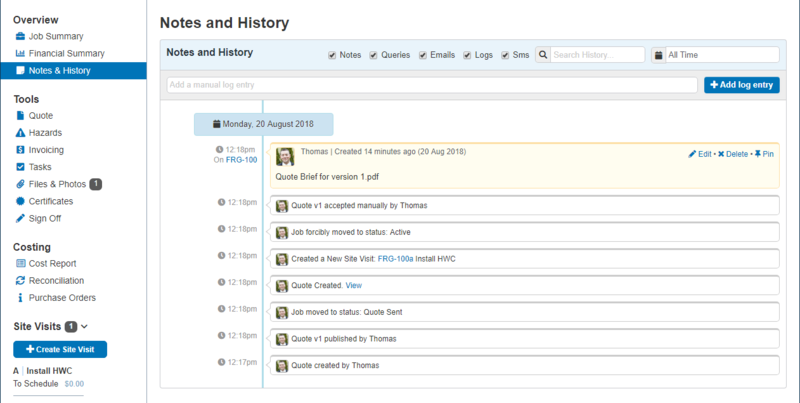 Head over to Reconciliation to reconcile 'invoices to come' with 'received invoices'. This step makes sure all supplier documents that need to be entered against a job are accounted for. 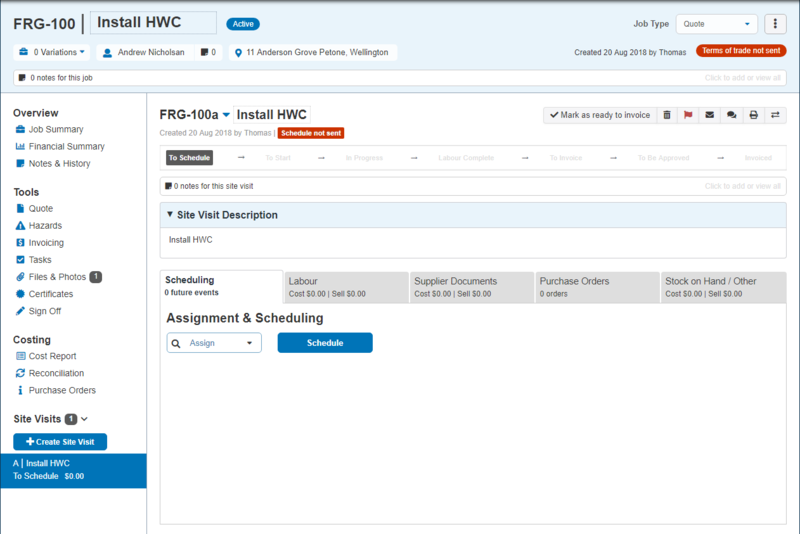 Create and manage your job's purchase orders. Site visits are the bread and butter of your job, and are what you log your labour (time) and materials against. Every job you put through Fergus will have at least one site visit. Open up your site visit to schedule it, log time spent, and enter stock used from the van. You can also see supplier documents and purchase orders here.